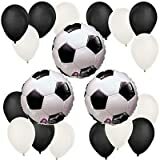 Soft soccer ball encourages active, motor skill-building play with silly sounds and 11 original global music tunes inspired by music from around the world! 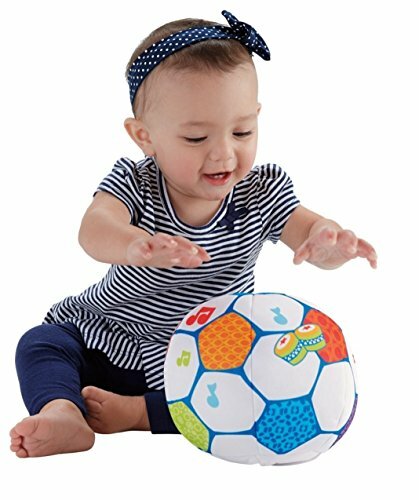 Friendly, soft-fabric ball is easy for baby to grasp, bat, roll, toss and kick—with bright colors, touchable textures and musical sounds to help stimulate baby’s senses, too. When it comes to baby’s development, the early years are the most important. Each play experience is an opportunity for baby to explore the world around them, taking it all in, learning, doing, and discovering new things along the way. The Shakira First Steps Collection encourages baby’s well-rounded development, helping baby get ready for their first steps—and beyond!